With hectic schedules and the daily rush, it’s essential to be prepared anytime for your date night! The classic and easiest way to transform your look from daytime to date-time is to change your lip color. For a daytime look choose light pink, peaches or nudes for your lip color. Colour Collection’s Chubby Sticks Glide-On Lip Crayon in Strawberry Daiquirior Peach Belliniare the perfect pinks for creating a classic daytime look. Their easy to use lip crayons keep your lips soft and supple while making you feel confident. When you and your date are ready to go from an afternoon coffee to a night out in a cozy place in town, swipe a classic red with Colour Collection Chubby Stick in Apple Martini; or for a sultry brown or plum, choose Chocolate Margaritaor Rum Raisin. 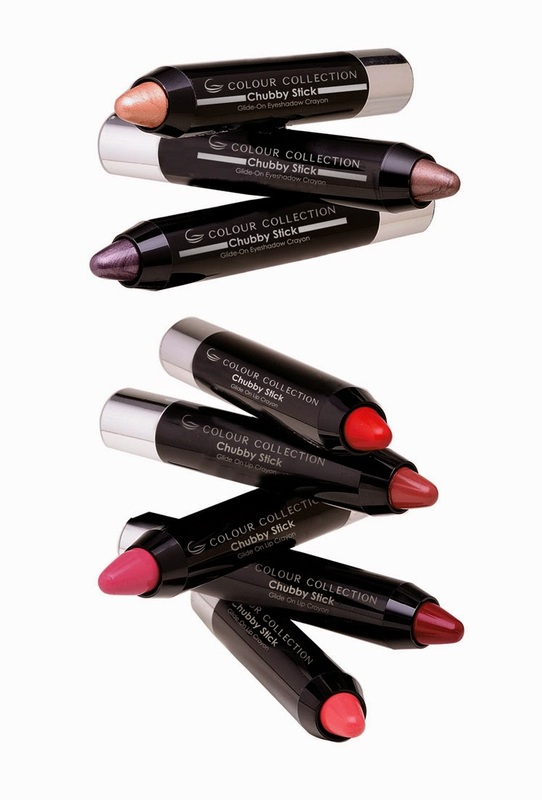 To top off your date-looks, use Colour Collection’s Chubby Sticks smooth glide-on eye shadows, perfect for creating a soft glow to catch your date’s attention. From their three shimmery colors, Champagne, Sangria, or Mojito, gently swipe one crayon along the eyelid to add a pop color. For even more drama, use a second color and gently color along the outer lid and blend for a dramatic look. Whether you’re on a lunch date or an elegant evening soiree, transforming your look to make a lasting impression is easy when you have beauty at your fingertips.